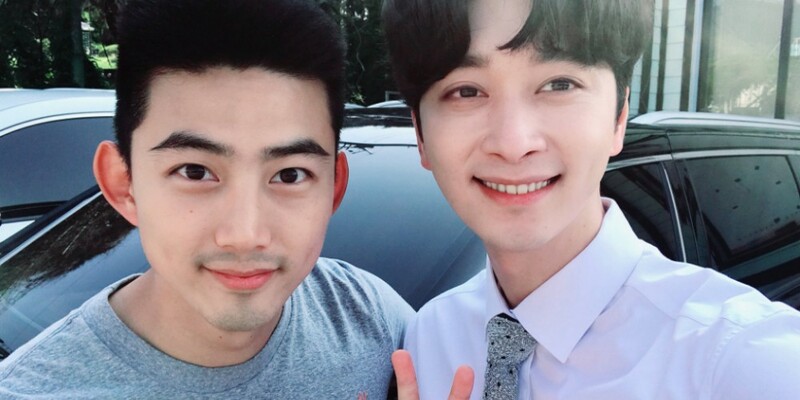 2PM's Taecyeon made a special visit for Chansung�during his break from the military. On July 16, Chansung shared friendly snapshots taken with his fellow 2PM member. He described, "Taecyeon hyung�visited the set of 'What's Wrong With Secretary Kim'. Our Taecyeon hyung, thank you and I love you."